A small bit of boot happiness to share: my Sorels are a little on the big side, and I hadn't gotten any insoles for them yet (I put aftermarket insoles in all my shoes and highly recommend the practice), when I saw sheepskin insoles at the local sporting goods store. They're made for those Ugg boots, and are something like $15. Man those things are cozy. Another thing regarding insoles for people with cold feet, the brand Sole (which is my personal favorite) makes insoles with Thinsulate built right in. Bunny boots (a.k.a. 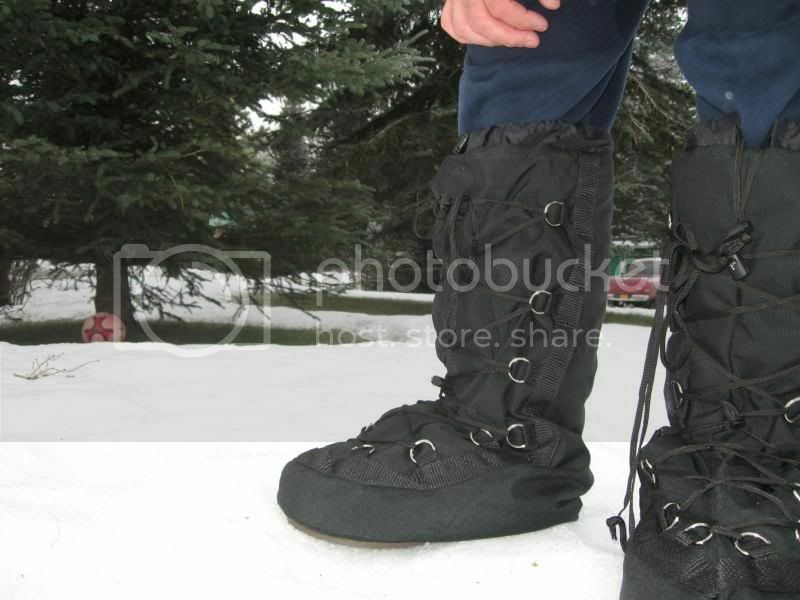 Extreme Cold Vapor Barrier Boots Type I) are rated down to -20°F (−28.9 °C). The Type II Extreme Cold Vapor Barrier Boot is rated down to -65°F (−53.8 °C). That is more than sufficient protection in any kind of snow. 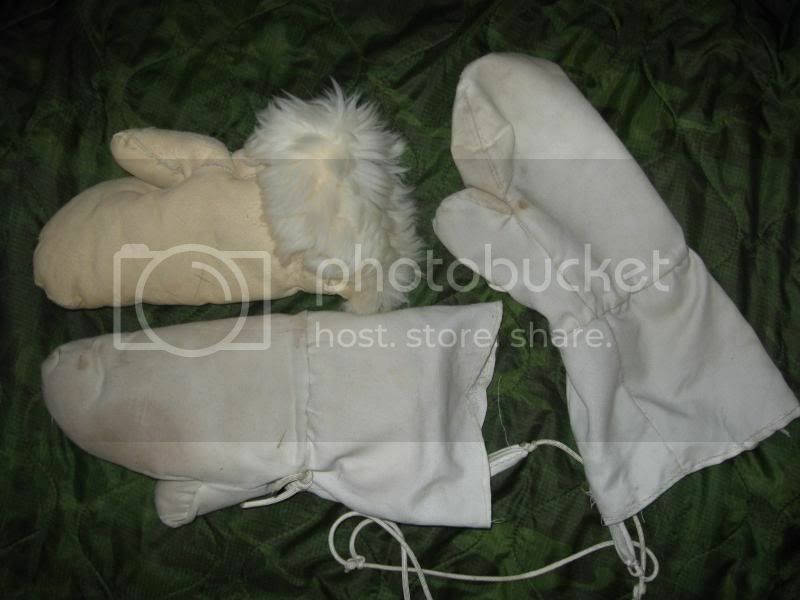 Do they still make bunny boots with the same level of quality? Sorry, I cannot help you there. I have never own a pair of bunny boots, so I cannot say anything about their quality either way. The only real bunny boot WAS made by BATA. You can still occasionally find them in good condition at pawn shops and sometimes there are "roadside" vendors that sell them. You can still find them in surplus stores. I have also seen them on Ebay. Be aware there are fakes. Last edited by hogfamily; 02-01-2014 at 02:47 PM.. 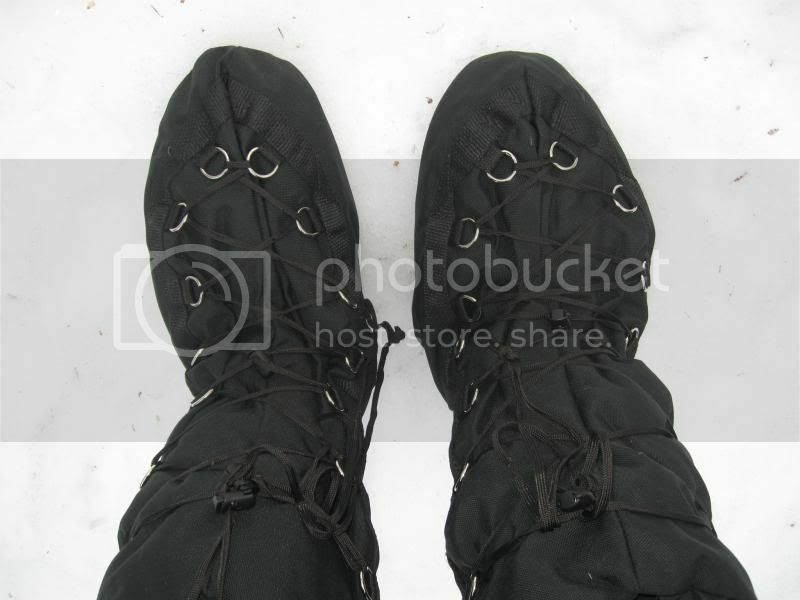 This is a Joe Redington Mukluk over boot made by Wiggys that I normally carry as part of winter survival gear. They are worn over boots or shoes. They are very warm. 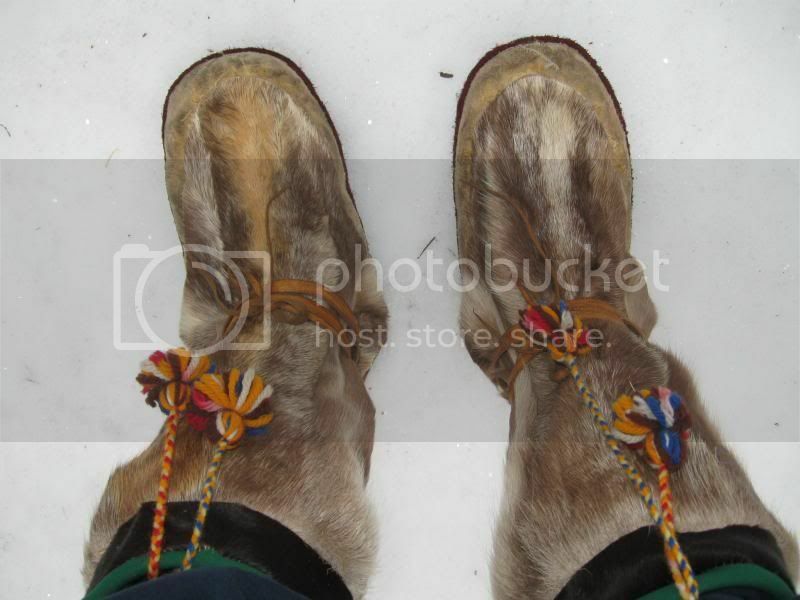 As a volunteer trail medic on the Iditarod Sled Dog race I saw many mushers wearing these over tennis shoes even at minus 30 degrees. They had sewn a piece of leather on the back area above the heel as that is a high wear area. The newer ones seem to be better made. 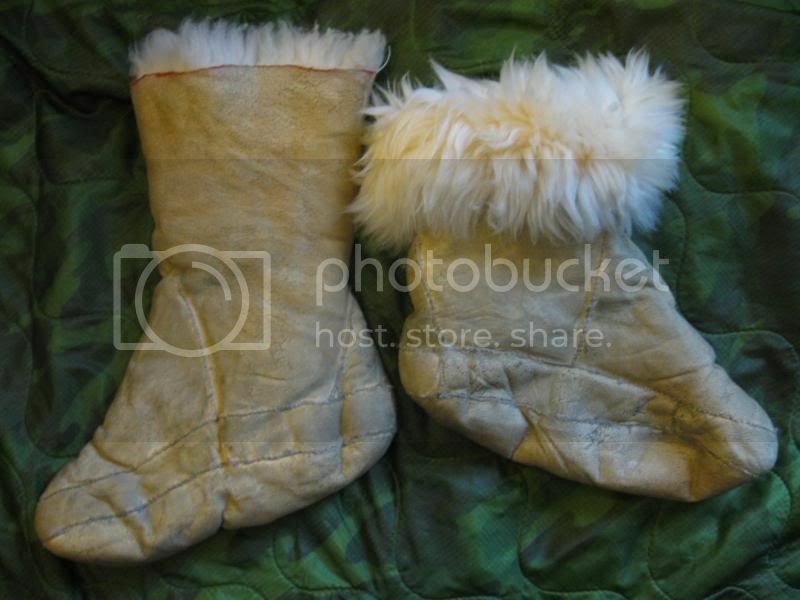 These are fur socks that I made in a skin sewing class that I took when I lived in Barrow. They are made from scraps of lamb skin that was left over from a parka that I made in the class. 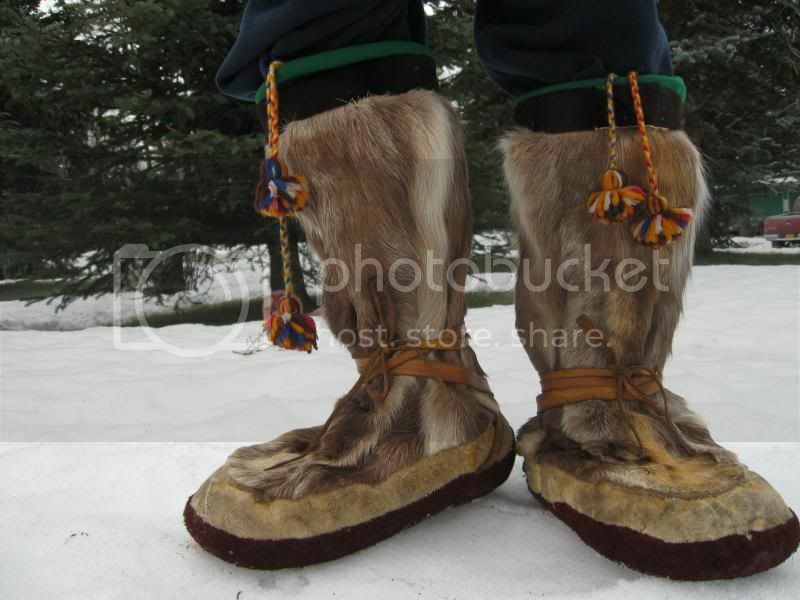 I wore them inside Air Force Mukluks. They are extremely warm. These are mittens I made with scrap lamb skin. They are also very warm. The warmest boot that I have ever worn are made with Caribou leg skin/fur. The fur on the foot section is on the inside. They are worn without socks. My feet NEVER got cold when I wore them. I have been in minus 40 for days camping, riding snowmachines, trapping, and hunting wearing them and never had cold feet. I even spent several days at minus 40 - 50, no cold feet! Last edited by hogfamily; 02-01-2014 at 03:42 PM..